Newspapers and magazines have been around in India for several decades. Average Indians no longer have the luxury of enjoying morning cup of tea with newspaper or magazine, spread out in front of them. It prompted the experts to come up with another alternative. 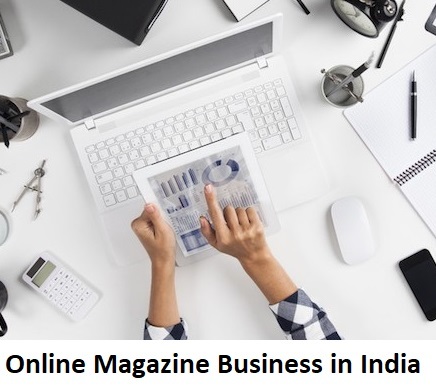 Due to this, the popularity of online magazine versions is on the rise in Indian market. Perseverance – The online magazines will continue to operate as long as they get adequate material to publish. These portal based publications are persistent, and also safeguard the content from for eternity. Interactive – Personal impact is high with online magazines. These online versions offer several links that redirect the readers to other sites. Apart from this, the use of video instead of stills adds life to the news. Eco-friendly – Traditional magazines make use of paper to print the content. It is not eco-friendly as a large number of tress need to be cut to manufacture paper. Thus, the best and nature friendly alternative is to go online. Cost effective – Due to the extended reach and readership of online magazines, the publishers can lower the subscription cost. It makes the web based publications more economic and cost-effective than traditional print publications. How to start online magazine business? Creating a business plan – No matter what venture you desire to start, you need to create a watertight business plan. It is the primary step, and not paying adequate attention to this will result in failure. The business plan will include figuring out the aims, and paths, which will lead you to those targets. Gather information about target readers – Before starting work on the actual publication of the online magazine, you need to do proper market research. It will yield data that will assist you to target your reader base. Depending on the target clients, you need to zero in on the contents you will publish. Analyze market competition – You need to take a close look at the other magazines available in the market. These are your direct competitors. Study their business model and contents will give you an idea about running your portal based magazine business. Gathering necessary funds – Both big and small magazines will require adequate funding. The requirements is not as high as starting a print publication. In case you do not have financial power to meet the needs solely, you need to make plans to acquire funding. Select a proper name – Once you have done initial planning it is time to start your hunt for a suitable name. You need to put in a lot of time in the name selection. It should not only match the content type and target clients, but should also unique. Getting a domain name – Any virtual entity must have an online website. To create a website, you will require a domain name. Several domain registrations and hosting space providing agencies like GoDaddy operate in India. Once you log on to this site, you need to check whether the selected name is available. If not, then you need to start working in another name. You will get .com, .in or .co.in domain names as per your requirement and availability. These sites charge anything between Rs 500 to Rs 1000 for the domain package. Attain hosting space – Once you have locked the domain name, it is time to purchase hosting space. Most domain registration companies offer hosting services as well. Hosting services providers offer server space to activate the website. The price for this service can be anything between Rs. 900 to Rs. 1500 on an annual basis. 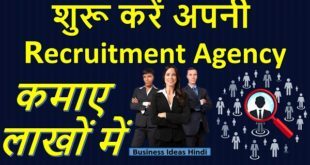 Once your business plan, funding, and market research are complete, it is time to turn your attention towards human resource department. An online publication will not flourish if it does not have a dedicated team. The team consists of writers, editors, photographers, proofreaders, and photo editors. Apart from these you will need sales managers, marketing experts, publication managers etc. Writing the contents – Whether online or print, a magazine needs to offer readers interesting and informative content. The stories will not be written by themselves. The popularity of the magazine depends on the captivating power of its contents. It is the responsibility of the copy writers to produce entertaining and engaging stories. Thus, writing is the first and most important step of production. Proofreaders or copyreaders – The writers may make typo errors while creating the story. Once the content is ready, it will be sent to the proofreaders. They are also known as copy readers. These experts have a deep knowledge about grammar and possess a huge stock of words as well. So, they read the copy, check for errors, correct it and send it to the editor. Making final corrections – When the copy reaches the table of the editor, its final fate is decided. The editor has the final say. If he/she thinks that the copy is worth posting, then it will be forwarded accordingly. In case the editor feels that further corrections are necessary, then it will be sent back to the writer. Providing photo evidence – A magazine attracts readers not only for the content, but also for the colorful pictures, which support the piece. Every magazine has full-time in-house photographers who are responsible for providing proper photographs to go with the contents. Designing the page for better influence – A newspaper has a traditional and formal look. But that is not the case with online magazines. Once the contents and photographs are selected, these are sent to the page layout designer. It is his task to add visually attractive elements, and place each content strategically. Creation of final prototype – Prototype creation is the second most important task that goes into the production process. The prototype will offer you a glance at the final look of the magazine page online. Once the editors are happy with the prototype, you can take the next step of digitizing the contents. Digitization of the contents – Software will assist in the creation of the prototype, making corrections, and designing Special programs like WordPress, Contentful, Buzzsprout come in handy to digitize and post the content on the websites. Digitizing the file according to these specifications is the final step to launch the magazine in true sense. Registration of print newspapers and magazines is rather complicated and lengthy process. Registrar of Newspapers for India or RNI is the apex organization that will provide registration certificate. But as of now, there is no law that highlights the need to register any publication that operates only virtually. All you can do is get the name registered so that no other online magazine can operate with the same name. You can create and operate an online magazine from home if you have a dedicated team, who coordinate and cooperate with each other. Online magazines operations do several employees. Depending on the size of the magazine and the amount of content you want to publish, you can start it with as many as 3 to 5 people. A content creator, editor, photographer and web designing specialists are a must for the operations. The editor can take up the role of proof reader as well. He may also create contents initially and recruit others as the business expands. Most online magazines have the agenda to make money. There are several ways to make money from your online magazine business. Many have a subscription pattern where readers need to pay a certain amount on monthly or yearly basis. But you must not depend on subscription alone. Online advertisements will add revenue in your pocket. In case you have a blog section in your magazine, then blog specific promotional messages will fetch some cash. Approaching any company directly also helps. If your site has adequate traffic, then these agencies will see you as a potential tool for promotion. When the online ads run on your site, you will earn a sufficient amount. Promotion of affiliate products also brings in revenue. In this, links of affiliate products will appear on your magazine page. When people make any purchase by clicking on these links, you will get a certain percentage. If you are looking forward to start an online magazine on a small scale, then you need not bother about too much investment. You will have to shell out around 3 thousand on the purchase of domain name and hosting space procurement. Both payments are made on yearly basis. Most domain name and hosting space providers can charge anything between Rs. 900 to Rs. 1200 each (depending on the package.) If you have a very small team of just three members, then you must keep aside another Rs. 30,000 for paying them. To cut a long story short, you can start a portals based magazine with as low as Rs. 40,000 to Rs. 50,000. You will not see profits immediately. Readership depends on content quality, and advertisement depends on traffic. If your readers are happy with the contents and you get a good steady traffic, you will be able to attain advertisements and sponsorships with ease. Readers will not shy away from paying a certain subscription fee, if they feel that the magazine has potential. It is possible to make around 15% to 18% profit in the first few months. Adopting multiplatform methods will increase your revenue with time. What are the risks involved with online magazines? You may start out with just an online representation. But it is mandatory to diversify, in case you want to swim in the pond with the big fish. Only an online magazine page will not be enough if you do not have print versions or website model. For this, investing time in multi-platform approach is a must. You must leave no stone unturned to maintain the quality of contents. It that dips, your revenues will dip as well. Never lose touch with your readers and sponsors. It is necessary to stay updated with what they desire from the magazine. Traditional promotion – Proper promotion is the key to success. The magazine will not attain adequate viewership if you do not send the word out. Traditional ad pamphlets at the back of cars, commercial messages in print newspapers, magazines and radio broadcasts will help your cause. Social media tools – Open and maintain profiles on all social platforms. Linking the contents to these profiles will ensure that your readers get all updates. It will allow you to be selective about clients, keeping in tune with your content type. It will instantly give an expanded reach to your magazine. Ask your friends and family members to share the magazine link on their profiles so that more people know about it. Email marketing process – When you have a sufficient number of readers, you can make use of email marketing as well. It will not only focus on sending pertinent messages, but will also give them a feeling of being connected with something constructive.